I know the National Cornbread Festival® is still three months away, but now that we’re collecting entries for the National Cornbread Cook-Off, I’ve got cornbread on my mind. It may be frosty outside with no hint of spring on the way, but thinking about warm weather and celebrating one of my favorite foods gets me excited for what’s to come. Have you ever been to the National Cornbread Festival in South Pittsburg, Tennessee? It is such a fun weekend; thousands converge upon this quaint town every April to see the sights, feel the history and taste the cornbread that is cooking downtown. One of my favorite areas to stop by is Cornbread Alley, where you can taste up to nine different delicious cornbread recipes. There’s always a competition for the most popular booth, and I love to see who the crowd picks as the best. The festival doesn’t just focus on cornbread, though. I love stopping by the Jam Tent when I have a minute. Anyone who wants to play is welcome to bring their fiddle, guitar, banjo or harmonica for a little friendly competition. Of course, you’re most likely to track me down under the Cook-Off tent. Our 10 finalists travel from all over the country to compete for the coveted cast iron skillet crown, along with a $5,000 cash prize and a 30-inch stainless steel gas range from FiveStar® Professional Cooking Equipment. Second place receives $1,500 and third wins $1,000. Go ahead and mark your calendars for a road trip to South Pittsburg, Tenn. You’re sure to leave full of cornbread and a smile on your face. For complete details, Official Rules and to complete the entry form for the contest, visit MarthaWhite.com. The National Cornbread Cook-Off is open to legal residents of the 50 United States and D.C., age 18 years or older. Void where prohibited. FiveStar is a trademark of Brown Stone Works, Inc.
National Cornbread Festival is a trademark of National Cornbread Festival, Inc.
It’s a new year, which means it’s time to up the ante on your creative cooking skills for the National Cornbread Cook-Off. 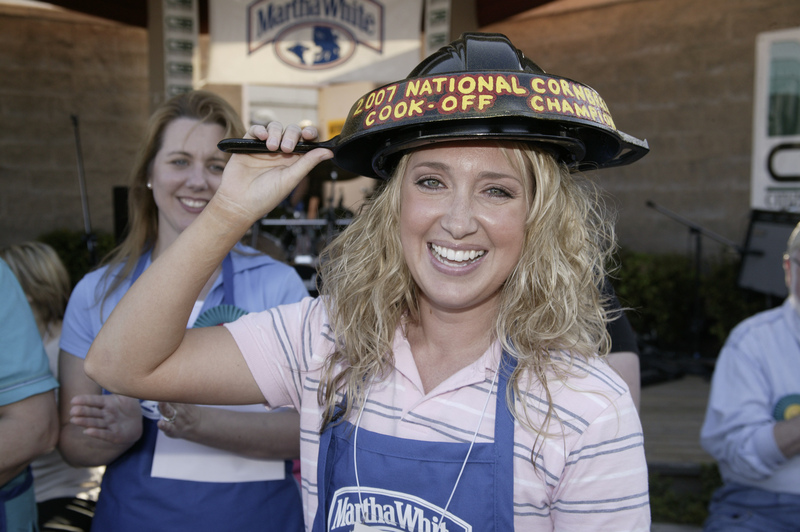 Martha White® and Lodge® Cast Iron are teaming up, once again, to search the nation for the best original main dish cornbread recipe for the 18th Annual National Cornbread Cook-Off. It’s hard to believe that I’ve been judging these recipes for 18 years now. I’m honored to play a part in selecting our finalists and winners every year – it’s always a wonderful experience heating up my cast iron skillet to try some of the fascinating recipes we’ve received. Every time I think I’ve seen it all, another home cook sends in a recipe showcasing cornbread in a way I’ve never thought of. 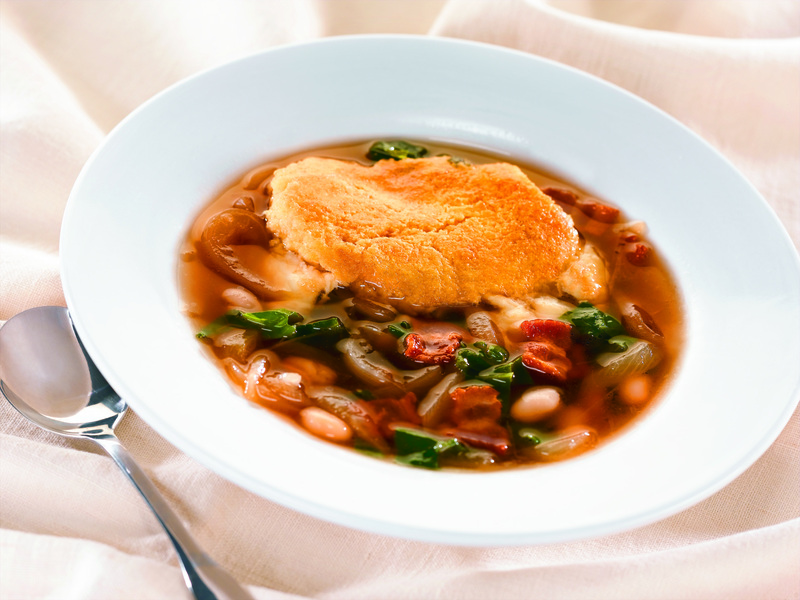 Two of my favorite past winners are Tennessee Onion Soup Gratin and Harvest Apple Cornbread Panzanella. You should get in on the action, too. 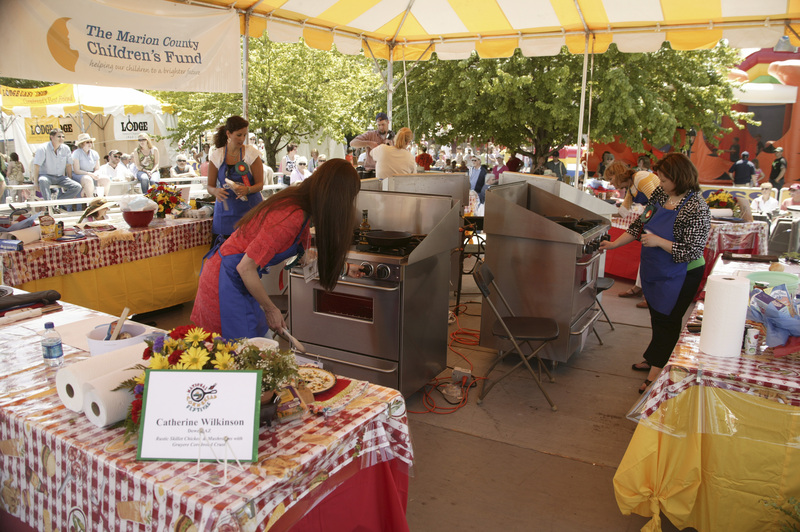 If you’re selected as a top 10 finalist, you’ll get to make your original creation for a panel of food experts on April 26, 2014, in South Pittsburg, Tennessee, at the National Cornbread Festival®. And the Grand Prize Winner receives a $5,000 cash prize and a 30-inch stainless steel gas range from FiveStar® Professional Cooking Equipment. Talk about a great prize! So here’s what you need to do. Now through February 28, 2014, submit an original main dish recipe prepared with at least one package of Martha White Cornbread Mix and cooked in Lodge® Cast Iron cookware. For complete details, Official Rules and to complete the entry form for the contest, visit MarthaWhite.com. The National Cornbread Cook-Off is open to legal residents of the 50 United States and D.C., age 18 years or older. Void where prohibited. Need a little inspiration? Stop by the Martha White Pinterest page for a look at past winners. I can’t wait to test your recipe! © Martha White, Inc. FiveStar is a trademark of Brown Stone Works, Inc. Lodge is a trademark of Lodge Manufacturing Company. National Cornbread Festival is a trademark of National Cornbread Festival, Inc. The holiday season is a busy time of year, especially for parents with children. With all the events, cooking and shopping to be done, finding time to spend with children during their holiday break can be a challenge. These days there are plenty of family entertainment options, but creating family moments in the kitchen is a great way to spend the holiday season. Having fun in the kitchen is a timeless family tradition that brings loved ones together. 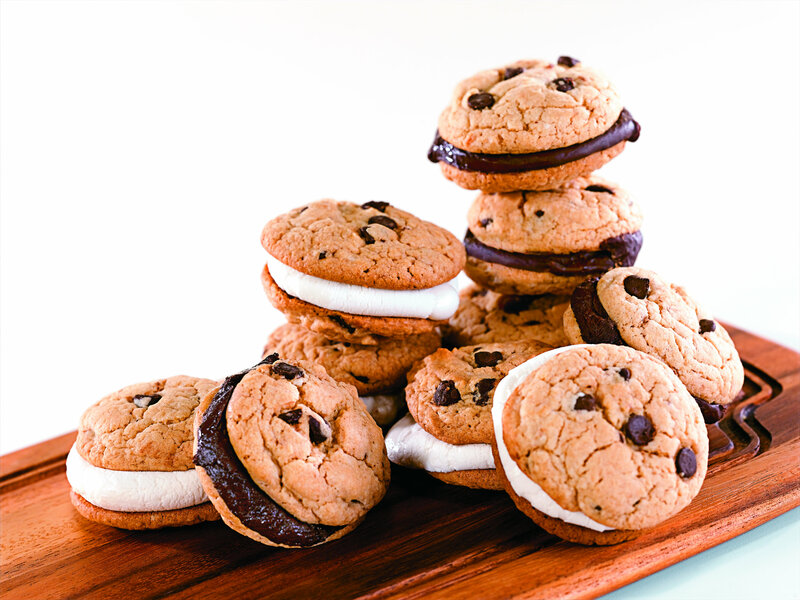 Think back to your first time baking. If you were a child, you were probably baking with a family member, many times a parent or grandparent. Although I spent a lot of time in the kitchen with my mother, it was usually when she was cooking meals for us. But before holidays, usually Halloween and Christmas, she would let us decorate cookies. By the time I remember doing this, I had two nieces who were close to my age. So Mama would sit us all up around the kitchen counter with cookies she had baked and cut into shapes, bowls of colored frosting and decorations. Then she just let us go and decorate any way we wanted. I thought those cookies were magical. Choosing fun, simple and age-appropriate recipes is a good way to get started. The last thing you want to do is frustrate your little ones with recipes that are too difficult. 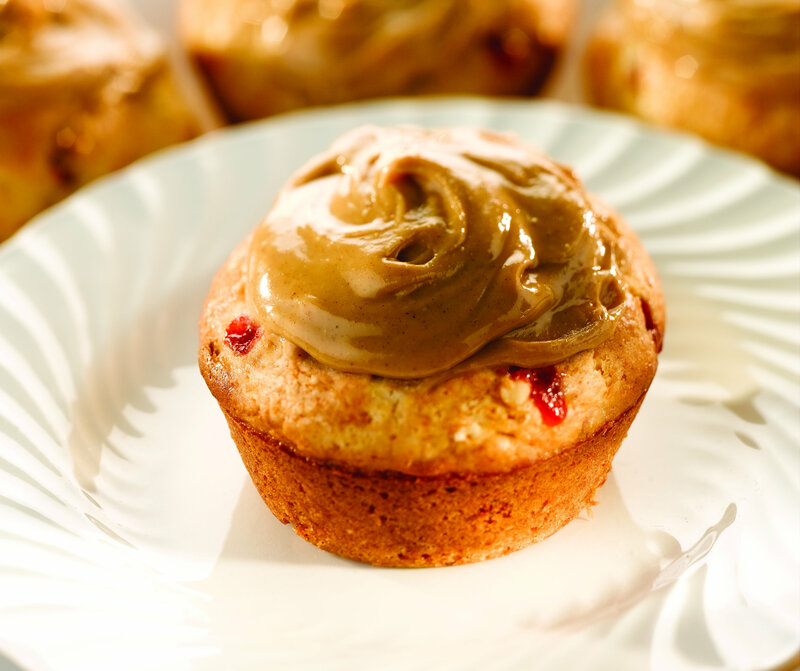 A few of my favorite recipes are Quick and Easy PB & J Muffins, Chocolate Chip Whoopie Pies and Rise and Shine Banana Berry Parfaits. Whatever recipe you decide to make with your kids, just keep the experience enjoyable. Things might get a little messy, but it’s a small price to pay for lasting memories. Do you cook with your children or grandchildren often? What are some of your favorite recipes to cook with them? Is it possible to make a recipe for the holidays with just six ingredients? Well I’m here to tell you that it is. We talked recently about the Martha White Holiday Muffin Mix Challenge™ and I shared with you the winners in the Crowd Pleasers category. Now I want to tell you about winners in the Simply 6 category. For this category, home bakers were asked to come up with original holiday recipes with six or fewer ingredients including a Martha White muffin mix. After the initial judging and a nationwide online vote, Allison B. of Olive Branch, Miss., was named the winner of the Simply 6 Category for her Dulce de Leche Swirl Cheesecake. You will hardly be able to believe that you can produce such an impressive looking and tasting recipe with so few ingredients. The thick buttery crust layer made with Martha White Cinnamon Sugar Muffin Mix creates the perfect complement to the rich cheesecake filling. A swirl of caramel topping completes the classic flavor combination. A runner-up in this category was the perfectly named Unbelievably Easy Bars. Entered by Cynthia W. from Whiteville, Tenn., this dessert will be just the thing for a holiday party or gift from your kitchen. The other runner-up in the Simply 6 category was Jackie H. of Knoxville, Tenn., for her Blueberry Cheesecake Pie. This pie is perfect to take along to a holiday pot luck. If holiday baking is a little intimidating or you just need recipes that are not complex or time consuming, these six ingredient award-winning recipes are just right for you. You can find these great recipes and more award-winning holiday recipes in the Martha White™ Holiday Cookbook. Enjoy! Since baking is my passion and my job, people are always asking me for holiday dessert recipes that will impress their guests. Well, you’re in luck! The votes have been counted for our Martha White® Holiday Muffin Mix Challenge™ and we have some wonderful recipes to share with you – the best of the best! We asked home bakers, just like you, to come up with original holiday recipes using a Martha White muffin mix in one of two categories: Crowd Pleasers and Simply Six. 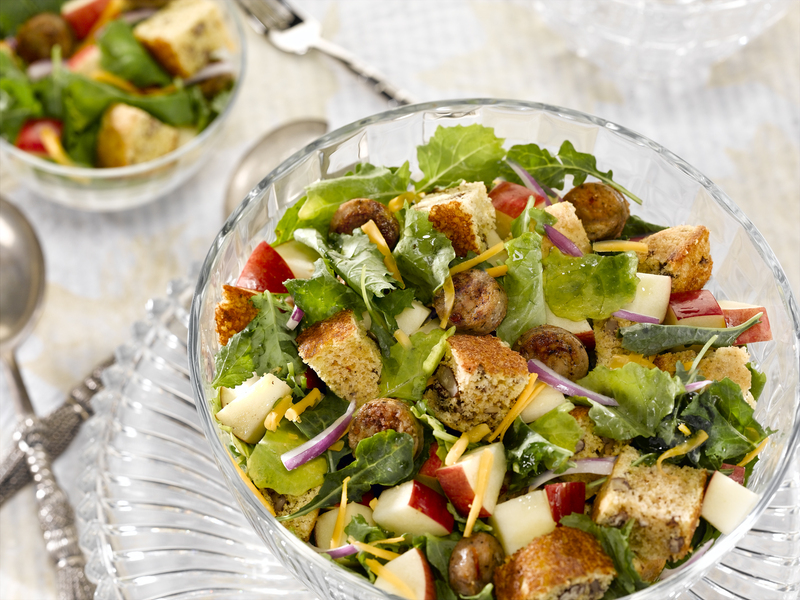 I’ll tell you a little more about Simply Six another time, but today I’m excited to share the Crowd Pleaser recipes. These recipes are meant to “wow” six or more family and friends at a holiday brunch, dinner or celebration. After initial judging and a nationwide online vote, Joanna C. of Whiteville, Tenn., was named the winner of the Crowd Pleasers category and the Grand Prize winner for her Peanut Butter Cup Icebox Pie. The recipe combines peanut butter, vanilla pudding and whipped cream to deliciously complement a crisp, chocolate crust made with Martha White Chocolate Chocolate Chip Flavored Muffin Mix. The pie is accented with chocolate drizzle and crushed peanut butter cups to create a decadent, holiday dessert perfect for friends and family of all ages. If you prefer to give each guest his or her own mini-dessert, try the Runner-Up winner in the Crowd Pleaser category. White Chocolate Pumpkin Pecan Babycakes, entered by Dawn M. of Warren, Pa., are delicious and festive, and will make your holiday guests feel special. Entered by Kim C. of Knoxville, Tenn., Lemon Poppy Seed Crepes are a great solution for special holiday mornings or brunches. So impress your holiday guests with these award-winning recipes. Just because you didn’t come up with them, doesn’t mean you can’t take credit when making them for friends and family. They are sure to be “crowd pleasers” on your holiday table.